ELEVATE Your Marriage and Life with Trina Glines | Listen Free on Castbox. Every marriage is perfectly “imperfect”. Two imperfect people coming together and creating awesome IMPERFECTNESS! As we choose to be intentional in our lives, focusing on OUR part, we will create the happiness we desire. Often we get stuck trying to discover what our part is and find ourselves focusing on our partners part. That is why I created this podcast. To help women understand what our part is. How we can be in charge of creating our own happiness and coming to the marriage as a whole woman. We are meant to feel happiness DAILY, even among the chaos marriage life will bring. 45: Geoff Stuerer, LMFT | What is a Secure Attachment? 43: Does Your Man Know How to Win Your Heart? | Tips to Set Him and YOU Up For Success! 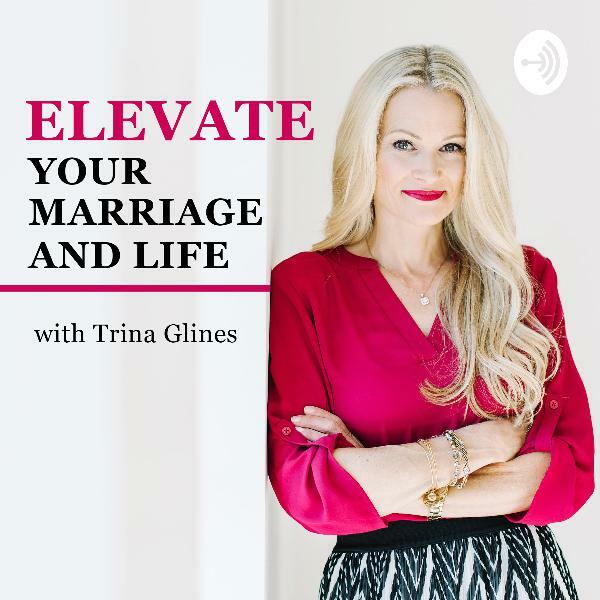 41: Navigating Marriage With Children | Keeping a Marriage Strong While Raising a Family. 39: The Negative Narrative in Your Head | Learn How To Control It! Trina is finally evaluating and explaining all the scenerios that I have lived in my 7 year marriage. The way she explains things resonates with me so strongly. I cannot wait to put in to practice all that I learn from her.